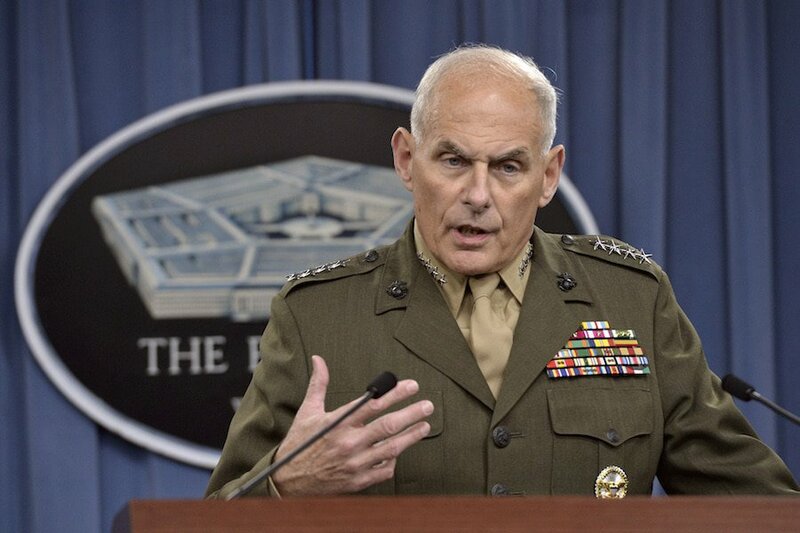 John Kelly nearly engaged in a “fistfight” with an ICE official whom President Donald Trump invited to the White House. Bob Woodward’s new book suggests that Kelly had butted heads with the official while Kelly was working as Secretary of Homeland Security. Crane was invited into the oval office by Trump without Kelly’s knowledge. The invite was sent out after the POTUS heard Crane complaining on TV about him and other ICE agents had not been invited to the White House. The heated argument led to Kelly threatening to resign before storming out of the Oval Office. Later on, Trump told aids that it appeared Kelly and Crane were about to get into a “fistfight” over the interaction. Crane and Kelly had previously fought over ICE’s attempts to execute an extreme plan for crackdowns on certain immigration violations — Kelly blocked the crackdown and Crane didn’t agree with the decision. Numerous reports have suggested that the quarreling between Donald Trump and John Kelly have been ongoing and heating up for months. Kelly is expected to resign from his position in the near future. Woodward’s book, “Fear: Trump in the White House,” includes various interviews with Trump’s senior administration members. The book questions, as many others have, whether or not Donald Trump is fit for the presidency. The White House has not yet confirmed or denied Kelly’s interaction with Crane in the Oval Office.